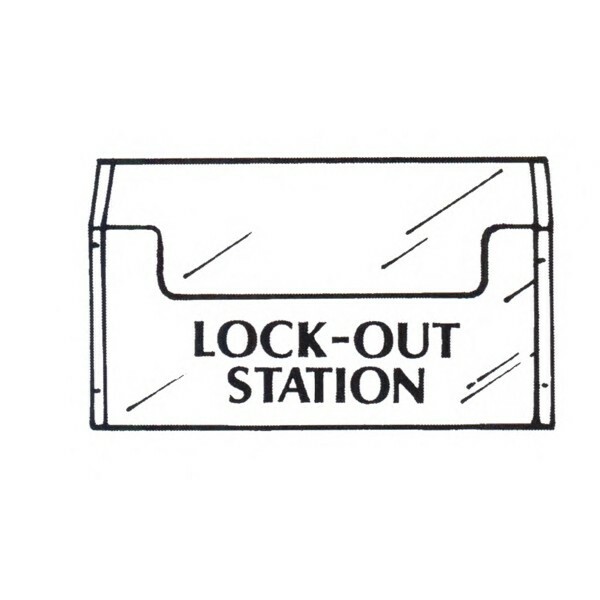 Lock out station for mounting on each machine. Constructed of clear 60 mil. PETG plastic, has full adhesive foam back for mounting. Holds locks, hasps, lock-out tags, etc. Must call for pricing!